Birmingham needs to “forget about the northern powerhouse”, EG’s Question Time event in the city was told last night. 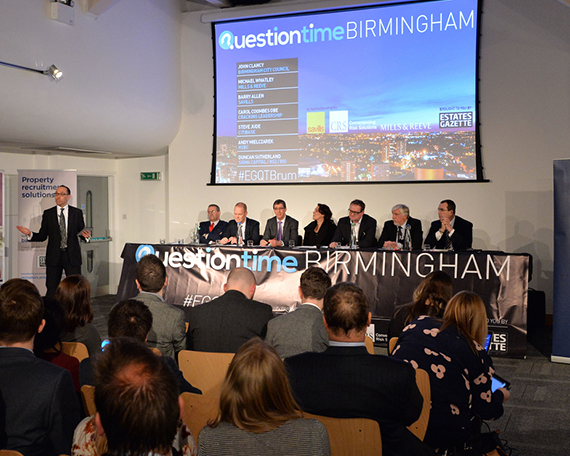 Citibase chief executive Steve Jude told the 150-strong crowd who attended the debate, at the Studio in Cannon Street, that Birmingham is a formidable city in its own right. Jude said, with the redevelopment of New Street station and the relocation of HSBC’s head office from London, Birmingham could genuinely be considered the second city ahead of its northern rivals. He said: “The northern powerhouse is a fantastic brand, which happens to be in George Osborne’s constituency, but I am not sure what is actually going to be delivered. Birmingham has got it all going on already, but it’s not branded well. 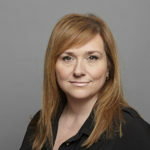 The event was chaired by EG editor Damian Wild and panellists also included Duncan Sutherland, regeneration director at Sigma Capital Group; Andy Mielczarek, head of distribution UK at HSBC; Barry Allen, head of Savills’ Birmingham office; and Michael Whatley, real estate partner at Mills & Reeve. Question Time was held in partnership with Savills, Mills & Reeve and Conveyancing Risk Solutions. For a full write-up of the event see next week’s Estates Gazette.